From the general level of vitriol I direct towards my hometown, county, state, immediate region of the country, it might seem that there’s nothing I like about Indiana. This is definitely untrue, there are many things I’ll miss. For example, the way recently planted fields suddenly explode into a million shades of green that roll along the gentle hills off into the horizon. This being in stark contrast to a month later, where seemingly identical six foot stalks block the view of anything of interest, including oncoming traffic. It’s even better in fall, when all those stalks turn a wonderfully disgusting shade of brown. So, there’s good and bad, often closely connected. 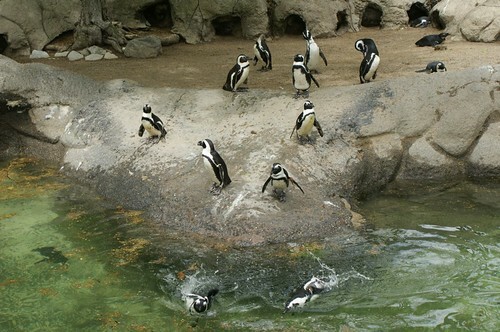 Something that’s purely good, except that it’s only open during the spring and summer, is the Fort Wayne Children’s Zoo. I grew up with the animals there, still have a full membership, and may request my ashes be scattered over some of the exhibits. Preferably over the annoying kids who keep calling every other animal a monkey. It’s a freaking lemur! It was in Madagascar! How do you not know this!?! Ahem, anyway. 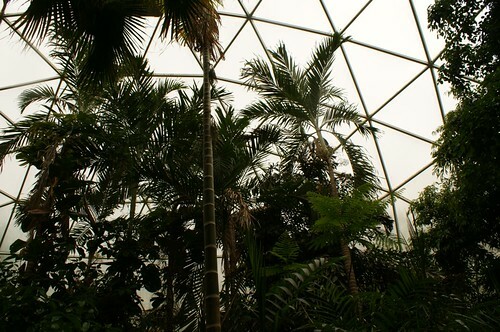 I try to make as many journeys to the Zoo as I can each year, and so far I’ve managed three 2010 trips. These are some of the pictures from Nicole and I’s first trip of the year. 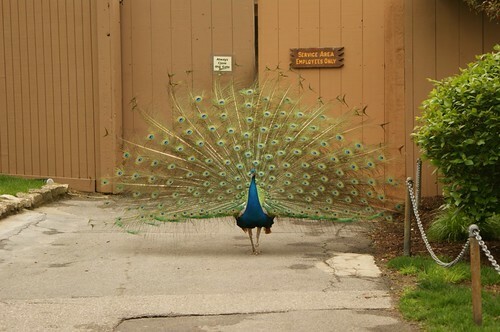 Near the entrance is one of umpteen million peacocks. They let them roam through the entire zoo relatively free, and they show up in the most random places. I think every time I’m there I see at least one face off between a flirting peacock and a pissed off wallaby having his territory invaded. Those wallabies are tiny, but they are scrappy little guys. 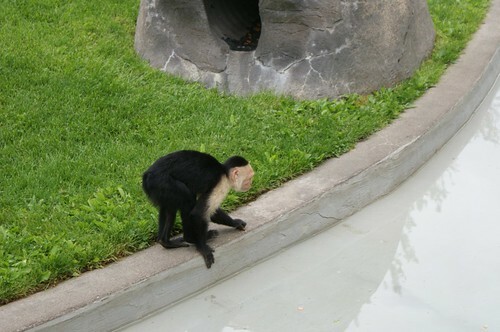 Near the center of the zoo is a traditional monkey island. Their at most decent zoos, a small island covered with trees and what appears to be a kindergartner's vision of what playgrounds are in the jungle. All surrounded by water and nice big concrete walls to make sure an epidemic of thieving monkeys doesn’t spread through the surrounding city. 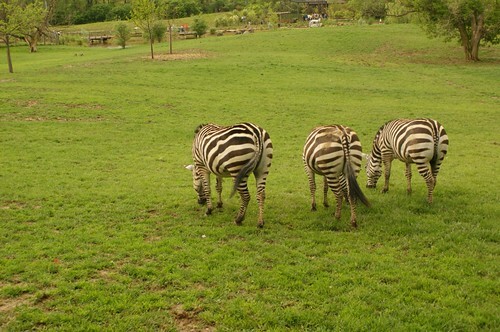 The zoo recently upgraded it’s African Savannah, and yet some things never change. Still no respect from those zebras. 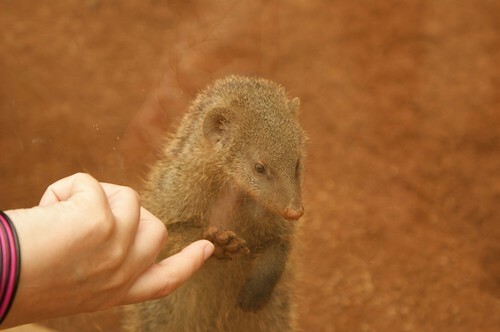 These little guys are mongooses, also known as “Oh, aren’t those cute... holy crap that thing just took down a cobra!” They live in a big colony, but this one is particularly awesome because it gives high-fives. 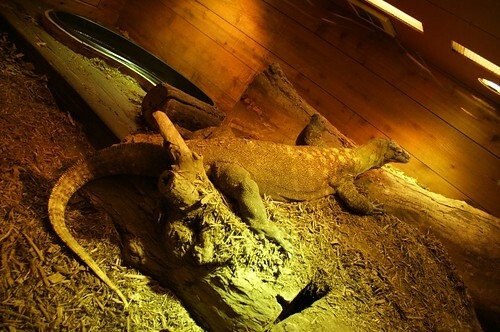 He is the Komodo Dragon. His name is Gorgon. He will track you down. He will chase you, he will bite you, you will die, you will be consumed with a nice white wine sauce. Your end is near..... if he could just figure out how to get through the glass. The Children’s Zoo has been around for decades, but it doesn’t look worn down at all. Lots of love and care is evident, and the exhibits are constantly updated to keep with the necessary standards for the animals on display. 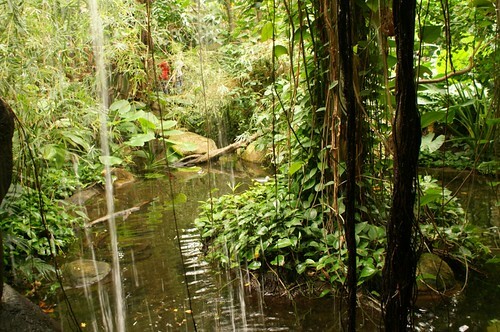 This rainforest is the most recent “land” added to the zoo, and is really convincing as long as you don’t look up. 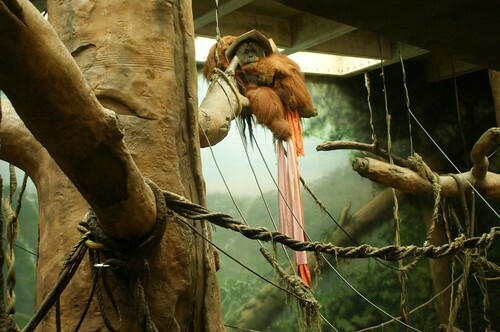 The amazingness of orangutan wearing a box on its head. No need for more words, just bask in the awesomeness of the headwear. The classiest animals in the zoo. Even James Bond doesn’t wear a tuxedo when he’s swimming. They also try to constantly escape, to the point a zoo keeper now has to stand guard to make sure no visitors smuggle home a new pet. Not that I’d ever try to steal one. Never. Nope. Not me. Noooo need to check my bathtub. 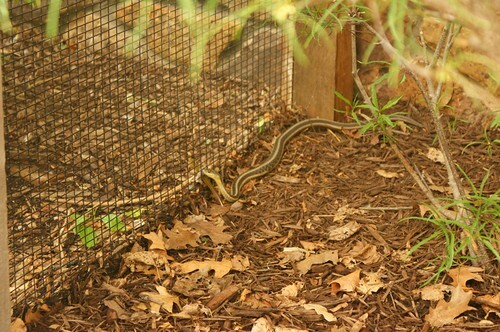 Finally, one of the local snakes tries to sneak into an exhibit. Believe me buddy, I’ve tried, there’s no getting into those things. Down in Florida, I’ll have access to some of the most amazing zoological parks in the world, including Disney’s Animal Kingdom and Busch Gardens Tampa Bay. But I’ll always want to go back to that little zoo that was a huge part of my childhood. Jack Frost Can Go to Hell! And I am the other half.